1. Many people getting into SEO get sold on "make a lot of easy money working from home" mantras and are lured in by otherwise dishonest marketers. As organic real estate continues to become more elusive and expensive inside of Google (and harder to evaluate thanks to *not provided*) it really has never been more important to appropriately evaluate your competition and your keyword market. Mistakes now cost more, homeruns are harder to hit, singles and doubles are harder to evaluate based on Google "protecting" keyword data (not on AdWords...obviously). When you hear the term harder you shouldn't be discouraged so long as you are willing to study, learn, evaluate, and build relationships. "Harder" is good if you are on the wheat end of the wheat/chaff separation. Furthermore, one needs to approach a new SEO project with an open mind and allow the keyword research & competitive analysis processes to take place in a fluid way rather than coming to the dance with a keyword list you are unwilling to change (data be damned!). Once you find a core keyword you can run through the SERPS (logged out, cookies cleared, and so on in order to avoid personalized results) to check it against the metrics mentioned above. It is advisable to go in with your core keyword and different versions of your core keyword (singular, plural, synonyms, etc) because SERPS can be fairly different for each. Conversely, you might find that not only is the head term uber-competitive but the tail may be the exact same way; whereas this may not be the case for others. One of the uglier areas right now is the travel space. So I was thinking of spending the weekend in Boston with my family recently and I thought it would be a fun exercise to use Google for the searches (rather than my usual search provider, Bing). 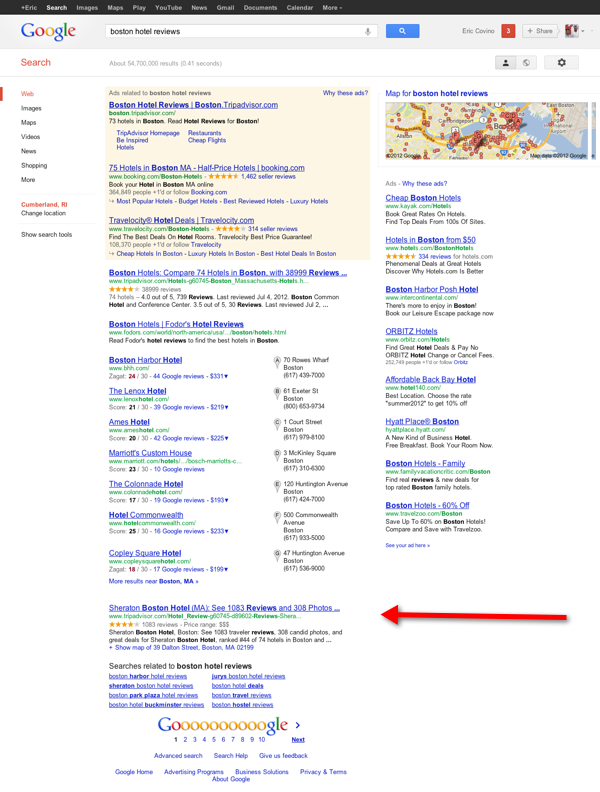 The keyword [boston hotels] is certainly a keyword that fits into the bucket of being appealing based on numbers. It's quite appealing based on the numbers for the core term as well as the volume and depth of its tail. As with any major city there are many landmarks that come into play which are quite easy to tailor content and user experience for. For Boston you could get into waterfront modifiers, back bay modifiers, Fenway park & Faneuil Hall modifiers, reviews and so on. When I evaluate a SERP one thing I do is to consider that at some point in the future, probably the near future, Google will do to the tail what they are doing to the head. So not only is Google monetizing most of this SERP at the expense of organic listings but they've actually taken away organic listings below the fold. 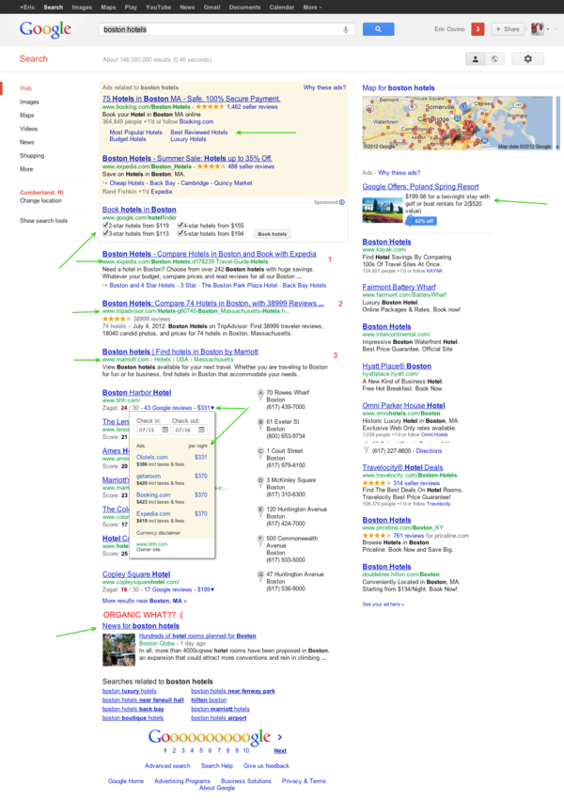 This is SERP is pretty ridiculous but it is reality. Expedia is listed 3 times above the fold, the lack of choice here is apparent and unfortunate. I've used Expedia and I like Expedia but seeing it 3x is a bit much given that 7 other options were completely removed. Condense, monetize, and brand the SERP; these are the ones that would give me significant pause while conducting competitive analysis. The key point is that not only is your competition fierce (in the top 3 organic listings) but once you include Google as your competition, and you most certainly should, it becomes being close to impossible to consider this keyword at all. 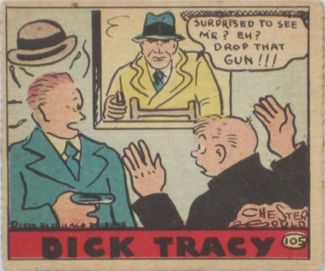 If you were to move down the tail you would see, while not as egregious, pretty similar stuff and one would likely be correct in saying that eventually the tail, especially the juicy part, will eventually look like the head. Similar stuff but at least organics remain below the smaller places insert. Another group of keywords you will run across are keywords that have multiple versions (synonyms, singular versus plural, and so on) where one of the versions makes up a significant chunk of the search volume for that particular product or query. Over the years Google has tied together the singular and plural versions of keywords, in so far as similar SERPS, pretty well but they still have a ways to go on synonyms or just similar meanings in general. You might find situations where 2 similar terms produce significant search volume with similar competition levels inside of their respective SERPS. In those cases, you can use Google Trends and Google Insights to see the trend of each word (is one picking up steam and the other isn't, are they the same, is one better for my targeted region?) to help decide which keyword is more likely to continue to grow and produce volume long term. If you play around a bit with the regions it would seem that the East coast, particularly the Northeast, tends to use Car as do the bigger states in the Northwest/West Coast while the gap tends to close a bit, or go in the other direction in bigger southern states like Texas. There are many examples like this where the data supports either/or and your decision is likely to be based on SERP competition. 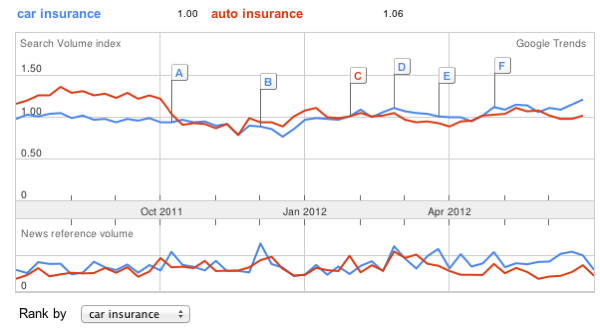 In this example, the SERPS for auto and car insurance are fairly similar with respect to brand bias but without the Google monetization built in (like we saw in the travel SERPS). If went down the tail a bit, into a more commercial term, you can see where the singular/plural makes a huge difference in terms of volume and trends. 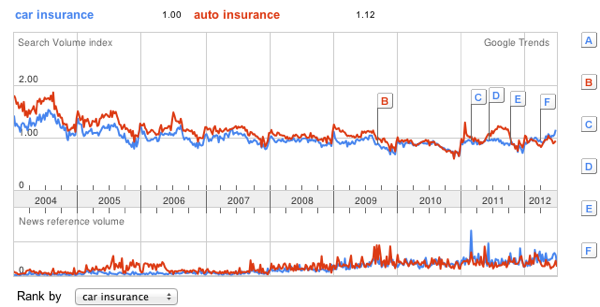 Digging in a bit further you can see that the trend is certainly towards the plural version and this should help with your decision because all 4 SERPS are pretty strong (as are many insurance related queries). Also take into account future localization of these SERPS; which is sure to happen at some point based on all the other localization Google is doing in the professional service industry. Another thing to consider is predicting if your market is one Google will get into (like they do with travel and some areas of finance). It's likely insurance is one of those markets based on how lucrative it is and Google's previous finance plays) as are other areas of finance and probably broader areas of e-commerce and comparison shopping. I would assume the latter is further down the road than the finance sectors are. Tech is an area that is likely to (continue to) be a growth area with respect to portable devices and such. Tablets, ultra books, laptops, smartphones, and so on are all areas you could look in to find examples of these kinds of preferred keywords. In looking at the SERPS, outside of some Google Shopping stuff in the upper right and some authorship imagery (present on ultra book keywords and the last 2 gaming laptop ones) the SERPS are fairly clean. Lots of deep brand pages are ranking with some being for specific brands only and a couple subpages on weaker sites are ranking as well. 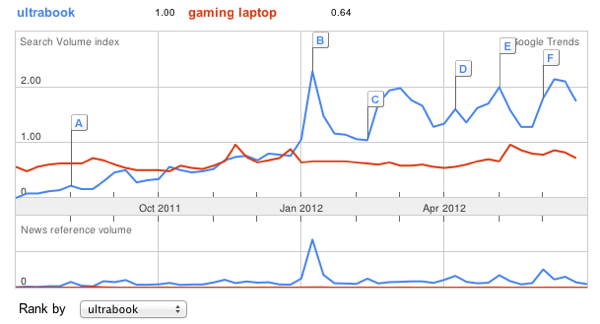 Google Trends shows "ultra books" significantly outpacing "gaming laptop" in terms of trend while gaming laptop still has quite a bit more volume. 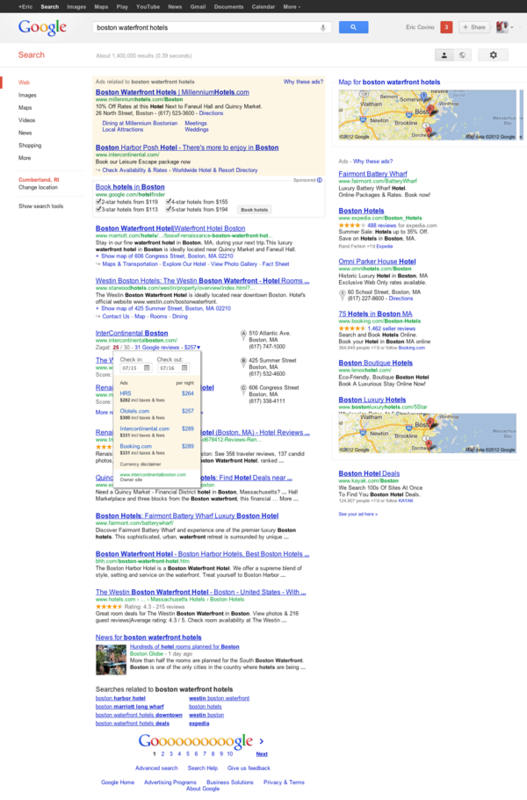 After evaluating the SERPS I like both markets here. I think the ultrabook market is more of a play for down the road (between the two), though depending on how fast they catch on outside of the MacBook Air it could happen quickly. I also think that gaming laptops will continue to become popular as better technology will allow gamers to eventually replace the need for a big, beefy desktop to run their advanced video needs. Coupling these thoughts with the search volume and associated tails, the lack of extreme Google SERP take over (by Google) and the lack of strong, dedicated sites (there is a decent ultrabook site but I think it can be beaten/outdone) to the topic would make me lean towards entering both markets. There are tools out there that do a pretty decent job of evaluating competition from a metric standpoint but there is no substitute for your own eyes, brain, gut, and experience. These tools ought to add a Google factor so you can see if you are up against multiple instances of Google vertical inserts and self-monetization plays. If you choose to ignore those as currently constituted, or ignore the possible presence of them in your SERPS down the road, you are doing so at your own peril and it's a big, big mistake. Evaluating SERP competition, and including Google as your competition, should be at the top of your priority list at this stage of the game. All the volume in the world and all the longest tails will not save you if you are battling extreme brand bias, disappearing organic listings, Google lead generation, and ad-monteized local inserts. If the travel example doesn't give you an idea on how Google feels about organic listings, maybe this does :)....Friday humor. Interesting post here. I'm in the processs of getting a site going that is pretty specific to a local niche. I've thought about putting together a SWOT analysis tailored to what information for SEO I need. After reading this I'm feeling stronger about doing that. ...I banned your account here, but left your link drop in place so people can see the sort of low-end work you do. It's pretty greedy & stupid to do an irrelevant spammy link drop on an SEO blog. Another issue to watch is terms that google autocorrects. Had to do some remedial work on a site once that was optimised for a particularly niche term, for which they were receiving no traffic. Turned out that Google was correcting the spelling for anyone searching that term, so their 'success' was invisible. ...it is especially painful if you optimize for a singular version of a keyword & Google auto-corrects searches for that into the plural version of the word. This is really helpful stuff. Thanks. "...Google Travel box (because it's not a commercial search, or as commercial as the other 2)..."
brand based keyword difficulty tool? Someone should build a keyword difficulty tool that works by measuring how popular the competing brands are that appear in the SERP (perhaps using total searches for the brand domain as a proxy for popularity). It would be extra helpful if it could include how much real estate in the serp Google has monopolized.